(CNS): Following government’s decision to ask the civil service to cut both operational costs and its own human resource costs, public sector workers are now asking which services people will be prepared to do without. 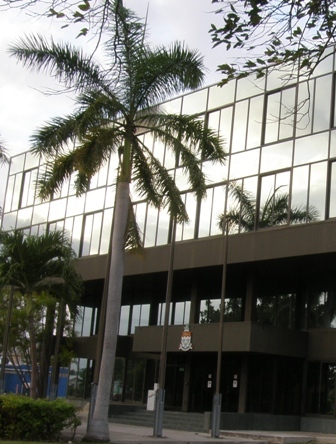 While members of the Cayman Islands Civil Service Association say there may be room for some trimming, to make the 8% HR cut requested some services will be sacrificed. The president of CICSA has said that the Civil Service is already understaffed in many areas and further cuts in HR will mean cuts to the quality and efficiency of services that survive, while others may have to be sacrificed altogether. “People must now ask themselves which services they believe the country can do without,” said James Watler, the CISCA president. With the ball now in the civil service court, the president of the association explained that if HR is to be cut further than it already has been, then there will be an impact on the quality of services offered and those in government or the wider community must decide what they feel they can do without. Watler explained that while it may be possible to trim what people have described as ‘fat’ in some areas of government, many departments are already understaffed. While government is facing the need to cut expenditure because of the decline in revenues, Watler pointed out that it still requires its programmes and policies to be carried out, which costs money as it requires people to deliver those services. “It is not possible to have one’s cake and eat it,” Watler said, explaining that it is the duty of the public sector is to deliver the services and programmes the government of the day wishes to implement – without the people services cannot be delivered in the way the community would expect. “No government can function properly if it cripples itself by cutting the people who deliver its services,” the CICSA President added. The difficulty now faced by the civil service was spelt out in the latest directive from the elected arm of government. The administrative arm has been asked to not only cut operational costs further but to work out how to cuts its own HR costs by more than 8% for the next budget, which will be delivered to the Legislative Assembly later this month. In a memo to senior staff Deputy Governor Donovan Ebanks asked civil servants for their proposals on achieving this 8% HR cost reduction, as mandated by the elected arm, and noted that a headcount reduction would be one of the issues which the service must consider. Watler noted that since the seriousness of the budget deficit was revealed last year, public sector workers have been on a roller coaster with constant uncertainty over what will happen to their salaries, their health cover, their pensions and even their jobs. Despite this, Watler said they had risen to the challenge to make significant operational cuts in this budget year, even when many departments have been functioning well below their optimum staffing levels. “Regardless of the uncertainty, and even though morale is far from its peak, civil servants have still continued to do their very best to deliver government services as professionally as possible. They know that there has to be cuts and they are prepared to do all they can, butat the end of the day the question that has to be asked now is — what do the people want us to cut?” Watler said. It would be a lovely exercise to go over those books with the relevant dept. heads and permanent secretaries.But even a FOI request won’t get them because most departments can’t produce them.It’s easy to see why they put Ezzard in charge of this because they will need a fall guy. Then Ezzard can be his usual xenophobic self and blame everyone else. I say cut out the HR Staff in every govt. department and put recruitment back the way it was before, it certainly was a fairer system and thousands of dollars will be saved. Thurs 11:15: A fairer system? I wonder which planet you’ve been on. My bet is you haven’t been hired for a post or posts you’ve applied for and you are vexed at that. Well guess what? You wouldn’t have gotten hired under the old system either. Cut the excuses and stop bankrupting Cayman! I hope that the CI$ 100,000+ wall around Mac’s house has been taken off the table. You all need to stop spreading slander there is no wall around Mac house stop listening and spreading unfounded gossip in fact maybe a "journalist" should do their job and check this out and educate the public on the truth. CNS: The wall has not been built. However, it is planned and the site has been surveyed. I really think government should check who are the employees that work hard in all deparfments, people who come to work, people that produce, the Government has a lot of employees that spend more time doing personal errands than working, the supervises in these departments should be fair with the people that really work, with the good employees, and dont be blind to see the lazy ones, this is the time for the HR manager in all departments to check who is a good employee and who is not. This is my solution – The Civil Service should get rid of all employees who have their own businesses (and there are a lot). These people run their businesses from government offices. They use government phones and run around in government cars using government fuel doing their own personal business. The civil servants that don’t have their own businesses know who these people are! Well, a lot of us know who they are too. Civil servants that have their own businesses can support themselves and therefore don’t need the government job; of course the extra salary, health and pension benefits are just too good to pass up! I wonder if they give their own employees 12% pensions requiring no contribution and likewise medical insurace with no contribution??? I would call on all civil servants that have their own private businesses to save the government their salaries by offering to be the first ones to be CUT back. But, once they are gone, please don’t hire someone else to take their job. It isn’t necessary since they are doing very little anyway. Now that is a great idea!! We could cut "Dept of Petroleum Ispection", "Dept of Tourism" (and it’s many offshore offices), "Dept of Commerce and Investment" to name a few that quickly come to mind. Those alone will save several tens of millions, or more, every year. BLACKMAIL. Pure and simple. The standard tactic used by all public sector associations. The most alarming aspect is, they have been so inefficient for so long, that it is actually believable they have no idea where to begin. To become efficient or even start. I truly believe that they don’t. Because efficiency is the antithesis of all government organizations. But… we can hardly blame the CSA. They have nothing to judge performance by. After all where would they look?? Not in their offices. We are being told, however, after having made a close examination, and seeing that everyone is doing what they’ve always been doing: very little or as little as possible, the only place they can possibly think of making cuts is… in the services provided? You’re pulling our leg right? You can lead a horse to water. But you can’t make it think and sadly you can’t teach an old dog new tricks. It’s time for a fire sale. Sell the sewage system, water authority, solid waste disposal, Boatswains Beach, tourism related port facilities, postal services, PWD, NRA and the Recreation, Parks & Cemeteries Unit to name but a few. If the current CS Directors want them give them the business to run and lets see how many staff members they will fire. Er…by definition a fire sale gets you very little money. 1) Archaic systems designed to maximize the number of people it takes to complete a task. 2) Very poor leadership in virtually all sections of government. 3) A society that has not been truly tested by hardship in 4 generations. 4) Cronyism and nepotism on a scale probably unrivaled in our region. 5) The inability to fire anyone. 6) No measurable or written standard of productivity. It is hard to imagine how its been kept going for so long despite all the glaring mistakes.Lets all keep an open mind about what the public sector should actually be doing. Like maybe enforcing laws instead of building roads etc. Maybe our leaders will find some courage when the checks start bouncing. Any good city manager could set up our entire government to run MORE efficiently with under 2000 total civil servants.I would way rather have 2000 well paid civil servants operating in efficient systems than 6000 under paid, unhappy,unlead,angry,and disorganized civil servants operating as a mob. Duh. When our elected leaders figure out that most of the people in the public sector are employable and competent but that the systems are really to blame then maybe we can get the kind of government service we all deserve. Easy, devise a scoring matrix and every CS gets a "score", some points for status, some points for seniority, performance evaluations, nature of their work (critical vs. support), etc. Those with the bottom scores are let go. The rest pay their "fair" share of health and pension. Can I get back to work now? First of all I must agree the CS should contribute to paying their own medical and pensions as like those in the private sector. If a survey is done you will find that government workers are not being paid any less than those in the private sector. One department I really would like to see a shape up ship out in is the Registrar of Companies. It is actually taking longer to receiving your documents than was in 10 years ago. Too many head counts and less work being done because they are either sick (so call) or out on the road and too many backing out of people personal business..
Firstly how would you like to pay for a health insurance coverage where you can not choose the doctor you want to see and your healthcare is restricted to the HSA. Asking persons to contribute to a restricted healthcare package is ludicrous and as CICSA has said over and over again CS is willing to contribute to their healthcare but only when they are able to chose where they go and what doctor they see. And please stop comparing the pay of senior CS to the private sector not everyone is on the high end of the scale! i argee with you so many people think that civil servants are paid this GREAT salary and then dont have to pay for insurance or pensions which they seem to think means we SAVE sadly the salary is not the best at all especially for junior, clerical staff members some have to work 6 – 7 days a week to make ends meet so those in the private sector that are in the night clubs , movies, restaurants on the beach enjoying your weekends and holidays off with your family while most of us have to be at work just to take care of our household be greatful and enjoy your salary packages . The country can do without the terrible lack of service offered by many civil servants. Competence and efficiency provide the answer, ‘let go’ of those who you know are not doing their jobs! Be honest and put the country’s best interests at heart instead of those of the few who are afraid of losing their fat salary. Government needs to start by cutting social service benefits to non-Caymanians ! Although I feel for the people being supported by social services I must admit I am a bit taken back to recently learn that we are supporting people from other countries. I had always thought that social services was for Caymanians only and donated generously every year. So I have to ask – In these hard economical times when we have so many of our own people (Caymanians) in need and doing without why are we supporting others???? In the future, before donating, I want to know exactly what and for whom my funds will be used. 50% of pension payable by employees @ 5% & 5% respectively. James, it is simple, you want to saveyour contingencies jobs right? Well convince them to contribute to their pension plan like the rest of us at 50% employee/50% employer. Why does Government pay 12% out of pocket with no contribution from the employee anyway? Well Government’s not paying it anyway and thus should be guilty of breaking the same law the private sector must adhere to and be fined the same, but theroletically if the Governments salaries are $400 million (is that correct?) Government could save $28 million right there! $400m x 12%=$48m, 5% of $400m is $20m. Change the law if necessary law makers for pension and health benefits! 50% of health insurance payable by employees. Why are the CS employees any different than the rest of us working class? How much would Government save by simply adhering to the same law they expect the private sector to adhere to? Make these changes alone, each employee contributes little to their own pension and health, save this country allot, and they can keep their jobs! Wow, isn’t that amazing! Oh and congrats to Dan DuGuay for finding and reporting on the gasoline theft from these very CS employees who don’t want to cut back or lose their jobs which cost this country an estimated $500,000! We employ and trust these people? Management allowed this to occur with no loss prevention measures or procedures in place? And does James or the CS really believe they are efficient and there is nowhere we can save money because were understaffed? There’s many ways to save money! I hope this "manager" will be fired, and all involved prosecuted for theft, saving this country a small fortune! Not to stereotype ALL Government employees! Many of you are dedicated and trustworthy and serve us well! I totally with your comments. But have you really any idea how difficult it is to fire someone from the Civil Service? It should be like any job, if you don’t preform then Bye, Bye. The problem is that Goverment are bending over backwards to help people that will NOT help themselves. Well said, we all agree. With 6000 CVs and 55,000 people it equates to 109 CVs per 1000 population. Is it not glaringly obvious where our problems lie, and they are saying they are under staffed and do not know what to cut. Start at the top and cut James and Donnie for having no clue in what to do and how to correct this problem. Compare our CV ratio per 1000 with other countries and you will be absolutely shocked at how could we allow it to get to this level. Cayman wake up before its too late. However we should be adding to the 50/50 pension and health suggestion the following cut backs and revising of the CV industry of waste and abuse of tax payer’s money. 1) Terminate all CVs who have private businesses and who operate those businesses in Govt time. 2) Eliminate the unecessary overseas trips and the numbers of CVs that travel and live it up atthe expense of the tax payers. 3) Cut back on Govt vehicles because why should the Govt provide Govt vehicles just to drive to the office as is commonly the case. Only those who really need a vehicle to carry out their work should have a vehicle in working hours only. 4) Serious salary cuts to private sector levels. Many Cvs are earning in the high $100,000 up to over $200,000 CI dollars a year way in excess for the same job levels in the USA – 15 years ago the top level was in the $90,000 range. 5) Eliminate overtime for salary employees. 7) Eliminate expense accounts for all except for top management of departments. 8) Govt supplied vehicles should only be a limited selection of FORD or GM vehicles and not carte blanche to buy whatever the allotted amount given for a vehicle at certain levels in Govt. Thinkl of the maintenace costs of all these vehicles of all different types. 11) Make them work a full 40 hour week – time clocks may have to be installed to stop the abuse currently allowed in only turning up for work when it suits them. Late starts and early departues commonly each day. 12) Introduce efficiency audits of their working time to ensure the minimum employees are required and that they efficiently use and apply their time at work to do the job required. 13) Private sector conditions and benefits all around and applied across the board. The savings would be enormous and would quickly turn this country around however I believe no politican has the balls to shake up the civil service and get this job done. If Cayman is to be successful, efficient and progressive into the future, all of the above must be done to ensure Cayman becomes a nation of example for the rest of the world. Watch now what will happen – a feeble attempt at basically nothing. 6) Eliminate unpaid leave. DO YOU GET UNPAID LEAVE , NO! What could i do without? hhmmmm, oh, I know how about Civil servants not having to pay a share of their pensions and health insurance like everyone else. i could sure do without that. Actually….there are quite a few firms in Cayman that pay all health and pension costs for their employees. Perhaps one of the things that should happen is that the rest of us should aspire to be like the dreaded Civil Service and demand better health insurance and pensions that we may actually receive upon retirement. Actually there are many firms in Cayman that provide non-contributory health and pension benefits for their employees, and bonuses etc. Perhaps one point that is being missed here is that we should be looking at what we think are appropriate levels/treatment of insurance and pensions and then moving to accomplish them. If public workers are currently enjoying those levels then lets ascend to where they are as opposed to ask them to descend to where we are. Once we agree a standard then we can look to see how to fund it. I think taxation is unavoidable at this point. I must also say that I have intimate knowledge of some Government entities and can attest to the fact that they are understaffed. There may be others that are overstaffed, but there is quite a bit of generalization going on in this stream. Finally, and truly as a sign of the times, I only count 3 people that have put forward truly sensible suggestions. We have not answered the question. I personally don’t think that privatization is going to help us because the private sector cost is going to be more expensive. I also hope that people realize that when we tell the public service to ‘cut the fat’ we are not considering what happens after that. I am not advocating for keeping people on that should be let go, but we have other related issues to worry about, like crime. Maybe we could cut the number of MLA’s. Do we really need that many? Yes, MLA numbers can be reduced, particularly the opposition who make over a hundred grand for doing nothing but fishing! Civil service asks what to cut??? THEY CAN START WITH THE POLICE! CUT THE POLICE! It’s not numbers they need – IT IS PROPER MANAGEMENT and BETTER EQUIPMENT that’s needed! I always tell people it is not quantity but quality. The Service is not being run properly and yet we are asking for more officers as a solution. Guess what? The more officers mean the more duties and fees would have to increase in order to pay them! It doesn’t take a rocket scientist to figure that out! In respect to the question: "What services people could do without?" I recall that in Paris (that’sParis, France for all our USreaders!) in the seventies/eighties the public were really fed up with the rude indifference of a sizable number of post office staff. So they made all the staff wear a name tag. Apparently it worked wonders! Could not agree more with the comments from 11:30. to top it all of most of those Turkeys are overpaid! Thats easy for anyone but civil service to figure out for obvious reasons. Cut out all the poor performers. And this should be figured out on the basis of customer feedback and not the workers. If a service has a poor customer service record and a lot of them should than just cut them back by fireing the management AND the non performing workers and slowly fill the openings with someone with REAL experiance. I’m sure everyone reading this knows this is not how the cuts will actually be handled because of the same reason there is the problem in the first place. It will continue with excuses and nothing of any value being done as this more than anything else has proved to be the way of the Caymanian. Soon Come. Wait for it…..Wait for it…..Wait for it……waiting waiting waiting forgetting. Name them. Come on, since there are so many who need to be cut, name them. … Thought so. But Come onnnn now Joe Mamma that would include all the snitches and news backers and those are the bosses favorites and the inept counter all the hard workers cause they act as a buffer before you fire the boss. That leaves us with the Political appointee / family connected, the "job 4 lifers" who will be the last to go even when government has dissolved they will find a job for those. Cuts wha u trying out for Cayman most hated or wha? Exactly! I told you it would not work for the very reason you have stated. There will never be anyone with the balls to do what is needed in Government to break the hold of the Political appointee/family connected/ and the job for lifers. Get used to it or wait until they run completely out of money and loans. Soon Come! Hated by them should mean loved by those that really matter! It seems obvious that the government departments that have not kept accurate or up to date books should be purged of all the ‘accountants’ in those departments and their management. No big loss there. Their incompetence has been proven. Next, just start looking at the large increases to the CS over the last 5+ years and eliminate 90% of those positions as they were likely unnecessary and did not add value to the Cayman people. Make departments prove the real need for them. Third, sort out the gas card mess. Offer an amnesty for those that admit it today and repay what is owed. Fire anyone who is caught after that period. And finally, there MUST be a change to the pensions and medical benefits of the CS because that system cannot be sustained by our economy. It just cannot. The CS are going to have to contribute their fair share of these costs like everyone else. The free ride was nice, but it must now end. 1) The civil servie does pay their share of theri pensions. 2) Would you pay for the restricted CINICO they get? How much per month? so… explain why you think not? It’s the systems not the numbers. Nobody wants to be told they and or their job is unnecessary.but when you have worked both private and public sector jobs for over 35 years then you can spot inefficient systems a mile away. Many jobs that are performed by public sector workers would be as much as 80% more efficient by private sector workers. You have a computer. Start looking at countries or small towns with similar demographics and crunch the numbers. Personally I would rather pay 100 bucks to have my pot hole filled with a Caymanian business owner making a profit than 500 buck for the government to fill the same pot hole then raise my taxes and tell me its for my own good.It’s unfortunate but as a citizen and an employer I see the waste everyday. It’s an fair question. There must be some reason for contending that there is no under-staffing in the CS. Can’t understand the thumbs down here at all. THEY WANT TO JUDGE, BUT THEY DON’T WANT TO THINK! Many in the private sector envy us, because we get off lightly when they have to bust their butts for a little. Evidence: why we have so many commentators here anti-civil servant. I don’t think we are jelous of you. Government is the last place where i would send my resume. Just remember with the recession that is going on ppl are getting laid off both Caymanians and expacts. Work permit holders is one source of income for the governement that pays you salary. So if more expats get laid that is less money for government. Now the government needs to make some decisions. Why dont the Government ask for a volunteer team, meaning to say that there are many retired Caymanians, born and bred, and status holders, who are at home, strong and healthy and dont need to work for a salary, but are willing an able to assit in many areas of governments departments. Take for instance anwering the phones, making coffee, going to the post office and much more. These people would only need to be covered by cinico if they do not have insurance already, which most retires do have. If the government ask for this they will get the assistance, which will only be for a year or two. It is food for thought. Do you really expect me to believe that a physically able, mentally competent retired Caymanian will want to spend their day making coffee and answering your phone? That’s a hard sell, mate. Almost impossible, I would have thought. While I agree that there is a wealth of usefulness out there in the form of retired civil servants who are fit and capable, and I’m sure many would answer the call given these hard times, being put to good use making some kid’s coffee just might rankle a few of them. I mean, it could lead to other menial tasks, like washing civil servants cars – including the governor’s rather large Caddy, which might in fact finish off an elderly volunteer come to think of it! – fetching someone’s laundry, giving the occasional back rub after a difficult meeting discussing cost-saving initiatives, acting as a caddy for visiting dignitaries who might fancy a round of golf, and so on. An interesting idea, though, certainly. It’d be like the "Dad’s Army" of the Cayman Islands Civil Service, I suppose. Just the tasks bit needs a bit of thought! I am sure there are departments that are short on staff (based on the efficiency of the individuals working in the department). In times like this staff need to be honest about their effort at work. There are many hard working civil servants that produce results equivalent to or even exceeding the private sector but, there is a large number that would not make it working in the private sector at their current effort level. I own business and I had to tighten up my labour costs to survive in this economic time and what I found out was that my staff will slow down their production to meet the amount of extra people scheduled to work in any given week. I have had to reduce my labour by 50 hours per week in my business from 350 to 300 per week which is about a 15% reduction. What is interesting is that my hours of labour did not result in a reduction of production, in fact my store is busier because those that stayed are doing a better job and giving better service and in turn my business is getting better. I am a firm believer that more is not always better. What I challenge the Civil Service to do is to is to be honest about how much production is possible from ALL staff, not just the stand out workers. Over the past 4 to 5 years the Civil Service has grown significantly and the work to be done has NOT increased at the same pace, this means to me that, as a whole, the Civil Service has become even more inefficient. Please do not get the impression that I feel all Civil Servants are not working, far from it, but I do believe there a lot that only wait for their pay check every month as there is not a required output from each person. Anybody can look busy but there is a difference from looking busy and producing. "Following government’s decision to ask the civil service to cut both operational costs and its own human resource costs, public sector workers are now asking which services people will be prepared to do without." ……implying they are operating at 100% efficiency right now. Give me a break! Could start with the NRA. This department really only requires a few engineers and managers to ensure rules and regulations re. road design are adhered to. Everything should then be privately contracted out (ie pothole repair, paving etc.). Because that would accomplish nothing unless you name names and give reasons. Don’t wait for a survey, just do it. All the ‘thumbers’ take some personal responsibility and become part of the solution.
" The president of CICSA has said that the Civil Service is already understaffed in many areas and further cuts in HR will mean cuts to the quality and efficiency of services that survive, while others may have to be sacrificed altogether." Isn’t the civil service 50% larger than it should be ? I think the "quality and efficiency of services" has more to do with the "quality and efficiency" of the people employed and not the fat that makes up a large part of the civil service. Answer = we can do without the fat! 6,000 government employees in a country with a working population of 30,000 and they are still understaffed? This is a perfect example of how civil servants just don’t get it. They never consider reducing their size, cost, or becoming more efficient. They always threaten their employers (the tax payers) with reduction, or even elimination, of services. We have the right to buy our services from the most efficient source, public or private. 1. Most telephone receptionist positions–No one seems to answer phones now anyhow so easy cut here. 3. Entire DOT staff–this department does absolutely nothing at moment. If they did, tourism would not be at 1980 levels. Caribbean Tourism has boomed in other places over the last 10 years. 4. Most Permanent Secretary staff in Ministries- half of these work at an incredibly slow pace or simply trail the Minister around. Clearly they are not contributing to anything. Funny story here is that they think they are so busy if you ask them. 5. Any civil servant that spends more than 3 hours a day in “meetings” or “committees”-in this case no one is being productive- do not need them. Another reason for the PSs to go. 6. Any civil servant that spends more than 2 days a month traveling to ‘conferences’–another waste of time and money. 7. Any civil servant that spends more than 1/2 day a month “training”-if someone is ‘training’ they are not being productive. (appreciate long term effects on an organization but we need cuts right now). 8. Cut half of Civil Service that are out of office during the day doing “inspections”. reason: half the time they are doing personal errands or ‘cruising’. This will also cut down on fueluse. 10. Cut out physical travel around island by Fire service to deliver memos. Everyone now is using email-get into the 21st century (will also cut fuel use) Go to a volunteer fire service like most towns do in US. No need to keep these guys sitting around all day waiting for that car to catch on fire. 11. Deputy Governor’s position-this position is not really doing anything productive or efficient at moment. 13. Half of Social Services Dept. this has a bonus benefit of making it harder to get a government handout than working. 15. All staff of the Economics and Statistics department- cannot remember when I saw anything from this department. When was the last report issued? 16. All of the staff associated with the “new” financial management law- centralize goverment accounting again- most of these folks are merely tracking expenditures for tracking sake- No value added proposition here. 17. Half of Sports and Culture-no specific reason for this other than not critical right now. 18. Half of Legislative drafting department- laws are poor as currently drafted with many mistakes….production very low. 20. Some of the Postal Service..still cannot believe it takes 5 days to mail a letter from Downtown to Walkers road. 21.All of GIS- This department is clearly not needed, does not function properly in a Natural Disaster, slow,ineffective, etc, etc. 22. All of Protocol Office-not needed and barely know what they are doing. My observation in dealing with the Civil Service is that the folks work at a very easy pace, no urgency, Most emails go unanswered for over 24 hours. The response to queries take in excess of 3-4 days, sometime a week or more. The CS staff have no pressure to perform. If they were in the Private sector they would have been fired for lack of production or out of business for being non-responsive. The other crippling problem in the CS is the lack of delegated Decision making. This renders most CSs to being a post box simple to pass on to someone up the food chain. 90% of the decisions could be made at the lower level if they were empowered. Now to be absolutely fair, there are CSs who do a great job. I know many and do deal with some that I would hire myself. They do it as efficient as the private sector. Some work long hours-I do get emails ‘after hours’ from some staff. These folks are getting a bad name with the others. My suggestion to CICSA is that the put a “confidential, Anonymous” box in each department that staff can “tell all about their fellow workers”. That will highlight where you can cut the CS. Asking the public for service cuts is childish and immature. I suggest CICSA look into these suggestions since they asked! Excellent response! In my opinion, your last 2 paragraphs sum up this situation perfectly. I wholeheartedly agree that it is "childish and immature" to ask the public to deal with any service cuts. The 22 points you have listed are at times a bit drastic but many solid, well thought out suggestions have been made. In order to get to the bottom of the murky waters, the Civil Service must clear out their own clutter and then add bleach. It won’t be easy and it may be painful but it is absolutely necessary. This process must be done swiftly and intelligently, in order to save the "parts that work" instead of those favorite "non-functioning" parts. CS was adamant that Government should not be allowed to make these cuts for them. Consequently, they were given the opportunity to do it themselves. Uh oh, hot potato!!! Now they want to pass their responsibility on to the public. If this is not resolved soon, the "parents" (the UK themselves) will be forced to step in…….. and that my friends, may end up being a very bitter pill to swallow. Unfortunately, your ignorant generalization is not the same thing as an actual solution. Try again. This issue has been a political football for to long. The Civil Service has grown to a point that the country can no longer sustain the cost. There needs to be cuts……it is a shame that Mr. Bush will not stand up for the country and make a decision…..
Blimey, 58 thinking souls agreeing with this list? Very worrying. Hope it’s as tongue-in-cheek a reaction as the list itself, which while echoing popular sentiments, is hardly to be taken literally, surely? This taxpayer can answer the question simply. Cut the benefits and the salaries by 15% and trim 10% off the headcount (the Romans used to use decimation quite effectively). What difference would I expect to see in efficiency and services – none. This is what we in the private sector are told or loose our jobs. How about holding Civil Servants to the same standard. And as to the understaff. What in the world are you talking about? By all accounts to date we in the Cayman Islands have the most overbloated staff count per population density in the Caribbean or more. How do you go about selling you are UNDERSTAFFED? What SOME NOT ALL BUT SOME of your staff is is LAZY, TOO DARN TALKATIVE or some combo of the two. Now some CS work hard but there are manywho simply do not. I don’t hesitate to mention the Roads Authority workers who I see on the side of the road grooming an area 10ft x 10ft and you have 5 of them there. 4 standing chatting and 1 working. Or Customs or Immigration staff who I see at times holding full blown convos with lines and lines of people waiting to be served. And not work related either and I know because everyone can hear. Again not all but they are there. Problem is there is no accountability. There is no goals. Nothing driving the staff to reach higher go longer do better work. Simply does not appear to exist. Sorry for being so critical but this writeup above tees me off because it’s only a DEFENSIVE posture. "If we cut staff we lower quality or remove service" NO!! EMPHATICALLY NO. You do more with less. You pick up the slack. You identify ways to do certain aspects of the jobs more efficiently and you do it. Now it’s time to think andnot just do something because someone said IT HAD TO BE DONE THAT WAY. There is always a better more efficient way. You just need to look for it. Each and every process needs to be examined to see WHY it’s being done a certain way and IF that even makes sense or IF that way just fills the hours in the day more. This is what the CS does not want done. They fear their Pandora’s box will get opened. And them being left to do it themselves is another JOKE. Let’s see Mr Dred we feel you were speeding, our radar says 50 and you were in a 25 but tell me now how do you feel about it? If you say you were not then that’s fine. "well Officer, huuumm, no in fact I thought you pulled me down for going too slow or does my tint seem too dark?". Ok Mr Dred you can go then. Glad you corrected us for that. Aaaaah. Ofcourse they will not say they can do better. I guess companies should be allowed to audit themselves also. Why don’t the HR people do Human Resource Development (HRD)? Ever since decentralisation of the HR function, there has been virtually no HRD government wide. Nonsense James. Having the ability to pay Government bills online would alone do away with the need for large numbers of staff without any reduction in service. In fact, service would improve dramatically. Doing away with PWD entirely (and letting the private sector bid on roads and maintenance etc.) would have the same effect. Let me buy a 10 year drivers licence and you will only need to attend to me (and everyone else) half as much. Attach garbage fees to utility bills, and introduce rollover to civil servants (as has been long promised) and the savings would be dramatic. It costs less to educate a child at CIS or Prep or Catholic or First Baptist or Triple C, then it does at any government run entity. Think about that! You are stuck in the old ways. Wake up. It is time to pay for your own gas because the private sector no longer has the means nor the inclination to cover for you any longer. CUT THE PROTOCOL OFFICE to start with. All events used to be run quite well without this whole new office that the PPM created. but at the end of the day the question that has to be asked now is — what do the people want us to cut? beginning at the top with every ego position that was created unnecessarily. 50% of pension payable by employees. spouses not eligible for coverage for dental care. those are their teeth. remove all unnecessary trinkets.. such as blackberries. no more extended lunch hours. staggered 4 day work week. Then we’ll see how we manage. But don’t buffalo us and ask for suggestions if you don’t want to hear them. This a hunk BS, I know of a person that works in an offshore bank that the staff was cut from 15 to 2 persons and the 2 remaining persons are doing the work of 6 people, and still has got top ratings fro service. Government and Civil Servants have to get their act together, and do more. This is evident with Chief Financial Officers being unable to produce financial statements and what the public view with front line staff. The private sector has laid off their dead weight why is the civil service protecting theirs, get your sloppy useless act together folks. We are tired of your constant useless complaints. Please, let’s leave "BS", and other such profanities, to the barroom babble so often associated with the barrooms so beloved of the PPM "planners", reportedly. Not that they use profanities, in public, of course. I thought this was a family friendly media outlet? I was always taught to never watch a film you wouldn’t be comfortable viewing with your mother. Same thing applies to language. Guess times, and tastes, have "evolved".